Greetings fellow bird hunters and fly fishers. I wanted to share with you the latest review of my book, Heaven on Earth: Stories of Fly Fishing, Fun & Faith by Ben Smith over at Arizona Wanderings. Ben is also the editor for the fairly new, but much recognized, Back Country Journal. 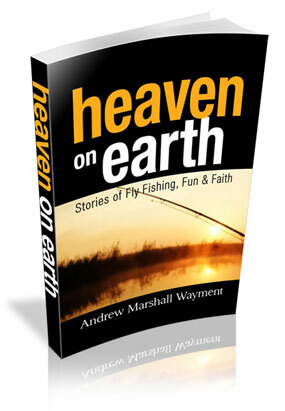 Here is the link to Ben’s review: http://azwanderings.com/2012/book-report-heaven-on-earth-by-andrew-m-wayment/. As a first-time author of a book, this review and the others to date have been exciting to say the least. For a writer, there is nothing better than to know that someone relates to and enjoys your work. Thanks Ben! Now for the shameless plug. If you are interested in purchasing an advanced signed copy of Heaven on Earth, here is the link to my website for the book: http://heavenonearthbook.com. Thanks for checking in and thanks for your continuing support of Upland Equations! I guess now is as good as ever to announce my second book entitled, Roadside Revelations: Tales of Bird Dogs, Family & Other Upland Equations. Obviously, this book will be about bird hunting. My goal is to have this book done by the end of this year. The manuscript is almost done . . . now for the never-ending editing process! Stay tuned!